Until recently, the indigenous microbiota of humans has been a relatively neglected area of microbiology with most attention being focused on those microbes that cause disease in humans, rather than on those that co-exist with us in the disease-free state. However, in the past decade research has shown that not only is the indigenous microbiota involved in protecting humans from exogenous pathogens but it is also involved in our development and nutrition. Consequently, interest has grown substantially among health professionals and scientists in analyzing and understanding these microbial (largely bacterial) communities. This comprehensive, yet accessible text provides an up-to-date guide to the development, composition and distribution of indigenous microbial communities of humans. With the aid of abundant colour figures, diagrams, tables and maps, it establishes links between the physicochemical factors prevailing at an anatomical site and the types of microbes to be found there. 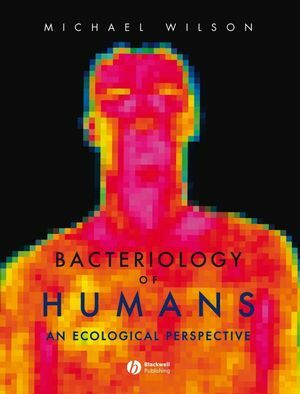 The book includes an introduction to the human-microbe symbiosis as well as an in-depth look at the main systems and organs of the human body that have an indigenous microbiota. Each chapter includes a list of references for further study. This is an excellent and informative reference book that is useful to anyone with an interest in microbiology, medical microbiology, microbial ecology, infectious diseases, immunology, human biology, medicine, dentistry, nursing, health sciences, biomedical sciences or pharmacy – it should be on the shelf of every major science and medical library. 1.1. Overview of the nature and distribution of the microbial communities inhabiting humans. 1.2. Environmental determinants that affect the distribution and composition of microbial communities. 1.3. Host characteristics that affect the indigenous microbiota. 1.4. Techniques used to characterize the microbial communities inhabiting humans. 1.5. The epithelium – site of host–microbe interactions. 2. The indigenous microbiota of the skin. 2.1. Anatomy and physiology of human skin. 2.2. Cutaneous antimicrobial defense systems. 2.3. Environmental determinants operating at different skin regions. 2.4. The indigenous microbiota of the skin. 2.5. Overview of the cutaneous microbiota. 2.6. Sources of data used to compile figures. 3. The indigenous microbiota of the eye. 3.1. Anatomy and physiology of the eye. 3.2. Antimicrobial defense systems of the eye. 3.3. Environmental determinants on the conjunctival surface. 3.4. The indigenous microbiota of the eye. 3.5. Overview of the ocular microbiota. 3.6. Sources of data used to compile figures. 4. The indigenous microbiota of the respiratory tract. 4.1. Anatomy and physiology of the respiratory tract. 4.2. Antimicrobial defense systems of the respiratory tract. 4.3. Environmental determinants within the respiratory tract. 4.4. Indigenous microbiota of the respiratory tract. 5. The indigenous microbiota of the urinary system of females. 5.1. Anatomy and physiology of the urinary system of females. 5.2. Antimicrobial defenses of the female urinary system. 5.3. Environmental determinants within the female urethra. 5.4. The indigenous microbiota of the female urethra. 5.5. Overview of the microbiota of the urinary tract of females. 5.6. Sources of data used to compile figures. 6. The indigenous microbiota of the reproductive system of females. 6.1. Anatomy and physiology of the female reproductive system. 6.2. Antimicrobial defense systems of the female reproductive system. 6.3. Environmental determinants at different regions of the reproductive system. 6.4. The indigenous microbiota of the female reproductive system. 6.5. Overview of the microbiota of the female reproductive system. 6.6. Sources of data used to compile figures. 7. The indigenous microbiota of the urinary and reproductive systems of males. 7.2. Antimicrobial defenses of the male urinary and reproductive systems. 7.3. Environmental determinants within the male urinary and reproductive systems. 7.4. The indigenous microbiota of the male urinary and reproductive systems. 7.5. Overview of the microbiota of the male urinary and reproductive systems. 7.6. Sources of data used to compile figures. 8. The indigenous microbiota of the oral cavity. 8.1. Anatomy and physiology of the oral cavity. 8.2. Antimicrobial defense systems of the oral cavity. 8.3. Environmental determinants at the various sites within the oral cavity. 8.4. The indigenous microbiota of the oral cavity. 8.5. Overview of the oral microbiota. 8.6. Sources of data used to compile figures. 9. The indigenous microbiota of the gastrointestinal tract. 9.1. Anatomy and physiology of the gastrointestinal tract. 9.2. Antimicrobial defense systems of the gastrointestinal tract. 9.3. Environmental determinants within different regions of the gastrointestinal tract. 9.4. The indigenous microbiota of the gastrointestinal tract. 9.5. Overview of the indigenous microbiota of the gastrointestinal tract. 9.6. Sources of data used to compile figures.